Oil chiefs in Norway are turning away from the North Sea and looking to battle for natural resources with Russia amid an historic slump in exploration. 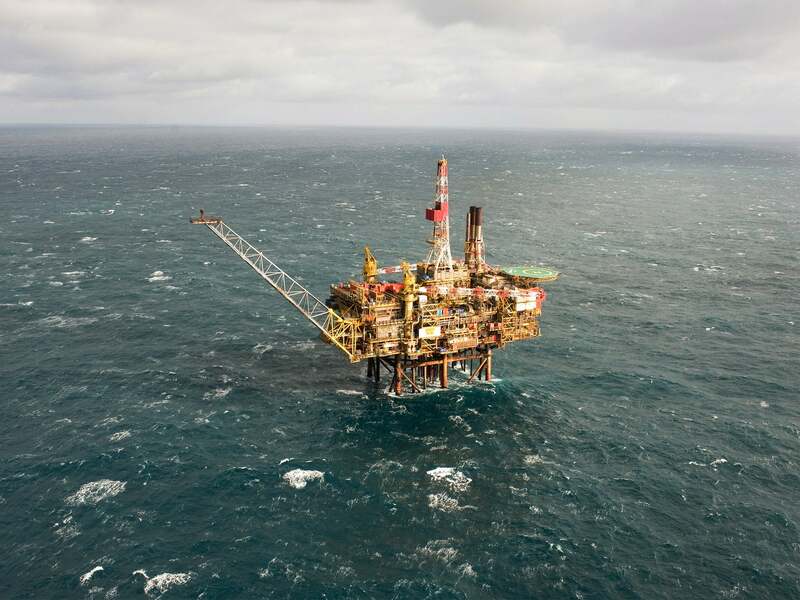 North Sea oil exploration is currently at an 11 year low in a trend national regulator chief Bente Nyland has decried as “worrying”. Now experts believe the oil-rich nation may struggle if they do not find new sources of fossil fuels quickly. It comes after Scotland managed to decrease its deficit with record rises in North Sea oil and gas revenues. The Government Expenditure and Revenue Scotland (GERS) statistics from August showed a deficit of £13.3billion when a geographic share of North Sea revenues is allocated to Scotland. That amounts to 8.3 per cent of Scottish GDP, compared with the overall UK deficit of £46.2 billion – 2.4 per cent of UK GDP. North Sea revenue rose from £56million in 2015/16 to £208m, reflecting an increase in total UK oil and gas revenues. But despite the lucrative nature of the sea for Britain, Norway is turning away from the region and towards the Russia bordering Barents Sea. Norway’s Ministry of Petroleum and Energy said: “Production from new fields that come on stream will compensate for the decline in production from ageing fields. Eldar Saetre, CEO of Statoil ASA, added: “If we continue to see a trend where we’re not making bigger discoveries, we will have to search more in mature areas. In June, Norway clashed with the European Union over fishing licences in the Arctic amid fears Brussels is poised for an oil rush. Oslo seized an EU fishing vessel earlier this year and removed several others in a row over lucrative snow crabs in the Svalbard archipelago. Norway insists the EU has no right to issue fishing licences off the Svalbard islands with concerns the argument over harvesting the crabs, which can fetch up to £4 a kilo, could set a precedent opening up the region to oil bosses. Norway pumps about two million barrels of oil, condensate and natural gas liquids per day, while its daily output of natural gas stands at around 300 million cubic metres. It generates half its export revenues from crude oil and natural gas, lifting per-capita gross domestic product to around £54,000, one of the world’s highest.